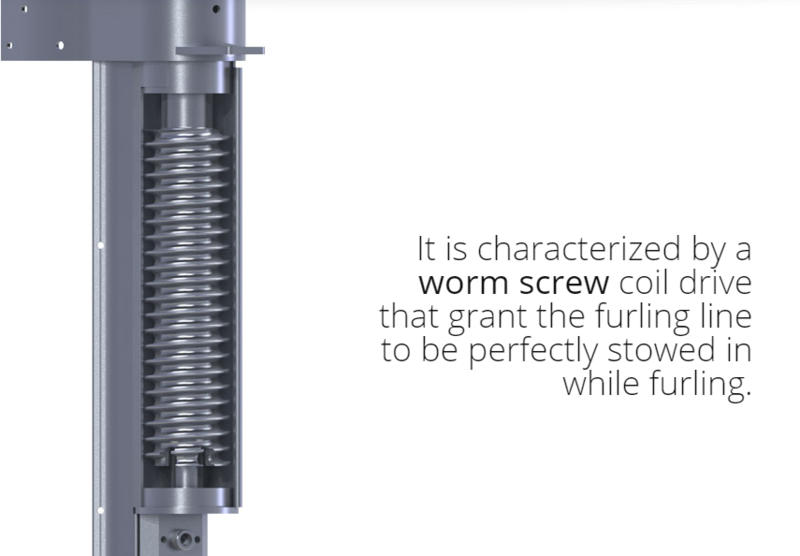 It is characterized by the famous “worm screw” coil drive that grants a correct stowage of the furling line avoiding all possible overlaps while furling. The coil drive is made of silver anodized aluminium machined with CNC machines, and integrates a ball bearing bush protected by seals and ORs. Another important mechanical component is the halyard swivel that connects the halyard to the sail. 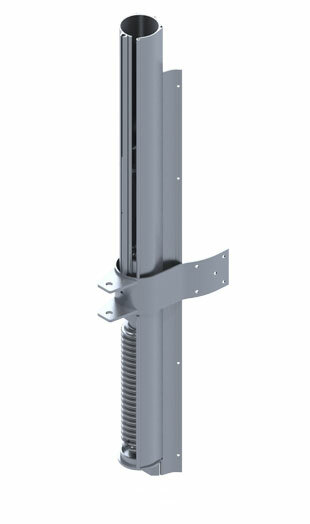 It is made of silver anodised aluminium machined with CNC machines, and rotates on ball bearings protected by seals and ORs that grant its tightness.